These personal and historical meditations explore the human and natural history of the Near Southwest, a bio-region that embraces New Mexico, Texas, Oklahoma, and slices of Colorado, Kansas, Arkansas, and Louisiana. Centuries ago, the Navajos named this region the Horizontal Yellow, a landscape characterized by yellowed grass stretching in all four directions, rivers that drain from the Southern Rockies to the Gulf of Mexico, and human cultures peculiarly adapted to the regional biome. 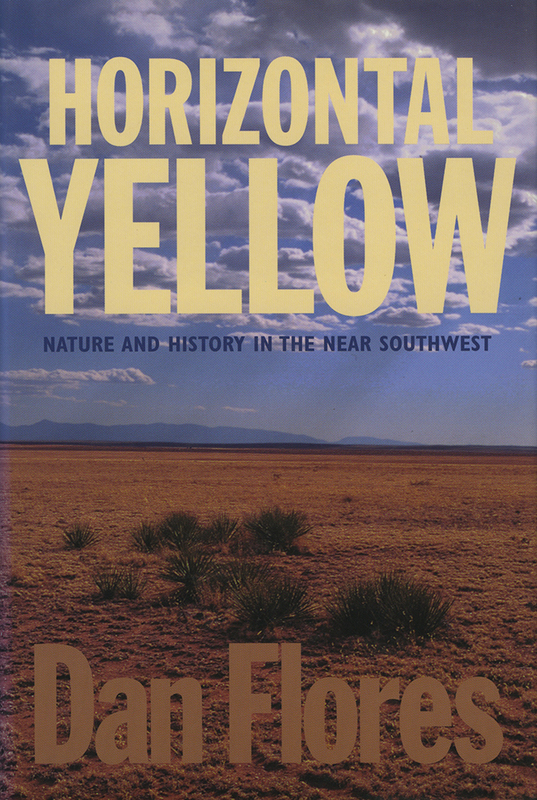 The Horizontal Yellow's piney woods, oak savannahs, blackland prairies, rolling desert plains, desert scrub basins, scarp mesas, table lands, piñon-juniper foothills, and diverse mountain ranges have succored and inspired American Indians, Hispanos, Anglos, and Frenchmen, including Dan Flores's own ancestors, who homesteaded in western Louisiana three hundred years ago and were mustangers on the Southern Plains. Moving between the present and past, the personal and historical, the author ruminates on myth, wilderness, wolves, horses, deserts, mountains, rivers, and human endeavor from Cabeza de Vaca to Georgia O'Keeffe in the Near Southwest. Dan Flores is the A. B. Hammond Professor of History at the University of Montana in Missoula.